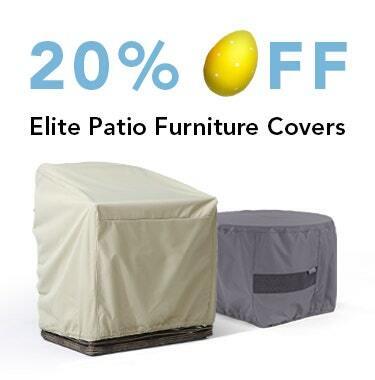 For protection year-round from the harsh elements, you can't beat these Elite patio sofa covers by Covermates. You also can't beat the variety of sizes and styles to choose from! 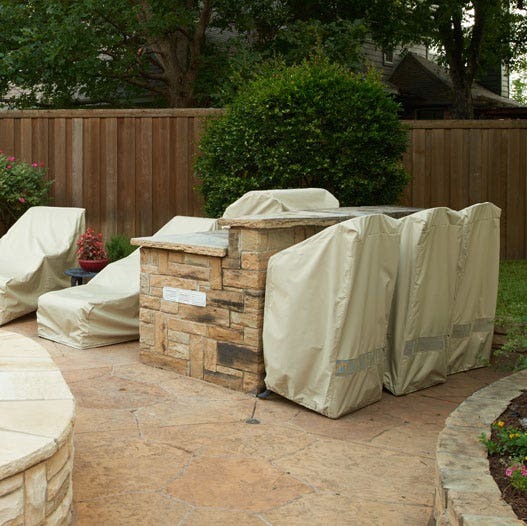 Patio sofa covers should be used year-round (not just in the winter) to keep your valuable outdoor furniture looking its best. This isn't a problem since our Elite patio sofa covers have an elastic bottom and cinch cord locking system to make them simple to put on and take off, even for just one person. 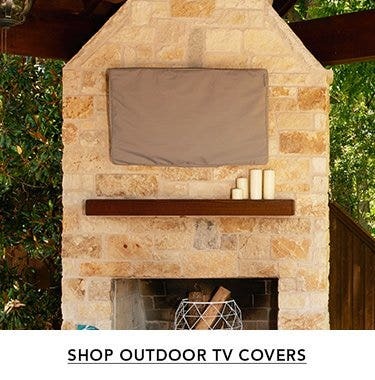 Covermates outdoor sofa covers andloveseatcovers are sized to fit most two seat and three seat outdoor sofas ranging in lengths from 50 inches up to 96 inches and depths from 30 inches to 42 inches.  If you need a settee or bench cover, please check out our patio bench & glider covers for more offerings. Did great! Survived the outer winds and rain of a nor'easter and left the contents beneath bone dry. Thank you for and accurate de_rscript_ion of a quality product. 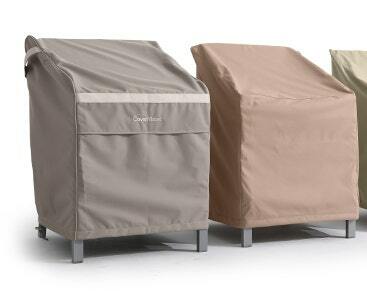 The cover does a good job protecting chair and cushions from the rain and wind, and it looks very attractive. I'm glad the sizing was liberal - I was worried about the fit until I called and was told about the listed sizing. Excellent quality and fit. Thank you for providing a product that is beyond my expectations. Couldn't be happier!!! Don't change!!!!! 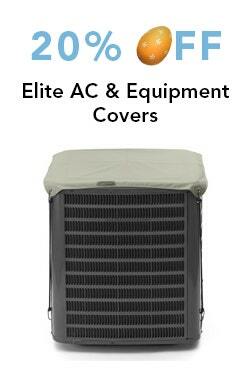 covers are well-made, attractive and priced right. the selection of sizes made all the difference! Perfect size for my loveseat and I love the quality. Very water repellent and have a nice almost silky feel. Not the heavy coarse plastic vinyl feel of other covers. Love this item! these covers are great. fit perfectly on my brown jordan love seats. saved over $500 from purchasing the name brand. my order came as promised and was packaged with care and boxes that i am able to reuse. This is the second time ordering from The Cover Store and I could not be more pleased. 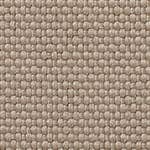 The quality, price and service was excellent I highly recommend them. 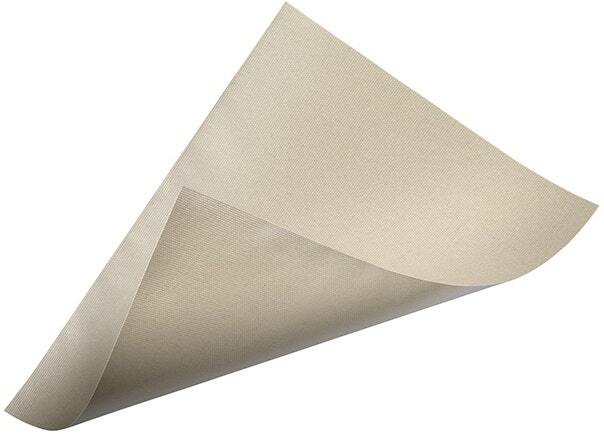 Easy to put on and remove and made from good, durable material. Very pleased! Well made cover, draw string to keep it tight. Great quality and a perfect generous fit. 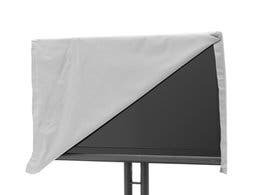 Great product, fits exactly as expected and really holds up to the weather. 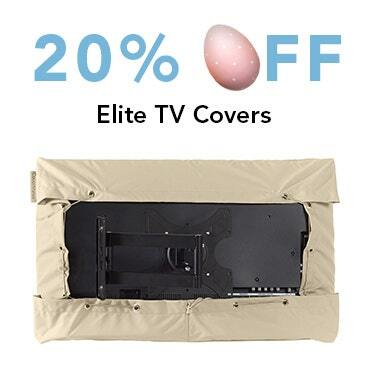 Good quality cover with vents. Quite a good fit for our love seat.. Helpful customer service staff helped us find the best choice for our size love seat. We are pleased with the purchase so far. Exactly what I wanted! Great fit and easy to take off and put on. A little pricey; but excellent quality. I'm happy with my purchase overall. Size was perfect and delivery was on time. Let you know more after the winter how the cover did. Delivery was on time and properly boxed. It fit well on my loveseat and I like the thickness of the fabric. We'll see about having some rain drops on it next week since the forecast calls for rain. These covers are awesome! They are lightweight and well made! I love the elastic around the bottom that holds them in place. They are easy to put on and take off for one person! 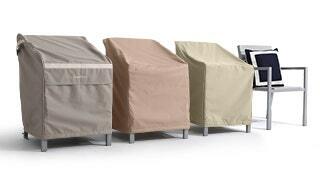 I have a screen porch, and furniture would get wet if not for these rainproof covers. I would definitely order more. I would highly recommend them! Great as usual! Our second time making a purchase for covers! These are for the winter! We received our 2 covers packaged very well and they fit really well. They seem to be very well made & came just in time for our hot Nevada Sun. We left for a quick trip and I'm told by a neighbor who cares for our house that we had a huge thunder, lightning storm with pouring rain so I'll be excited to know if my cushions stayed dry when I get home. So far so good! The service was great & yes I would recommend buying from The Cover Store. great product. Well made and attractive. This product is real quality and will last for many years. Covers were great quality and well designed. I'm planning to use them for winter storage of my furniture under a covered porch. Great product. Better than I expected. We ordered several patio furniture covers on this one order. 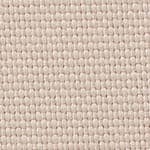 They are of wonderful quality material, well made, fit nice and look great. We are very satisfied with these covers. Fast delivery from time of order. Product is exactly as described and quality is amazing right down to the packaging. The Cover Store delivered 1000%! 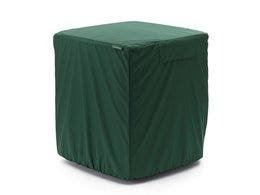 I recently ordered a new loveseat cover for my outdoor furniture after 7 years. 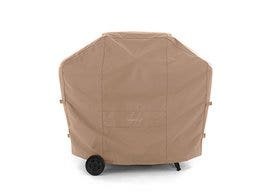 My furniture and covers stay outdoors all year and this product wears very well. 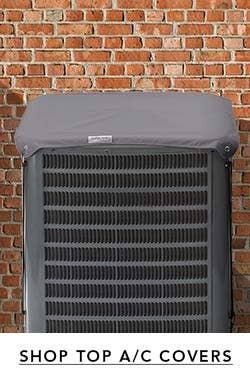 I highly recommend them for anyone needing to cover their furniture from the changing seasons. We have nice outdoor furniture and live in Southern California where we can enjoy sitting outside year round. These covers will now make it easier for us to leave the cushions on the furniture and not have to worry about how dirty they are when we sit down.The covers are easy to put on and off. Wish we had purchased these earlier. Received this cover, as well as a cover for a chair a few days ago. Shipment was quick, the quality is very nice. These are great covers. I wasn't sure what to expect, and I found that the quality of the material and workmanship are really good for the price. I'm glad I bought these. These covers are fantastic! I have two homes. One is a condo on the beach in FL which can get windy with seaspray. 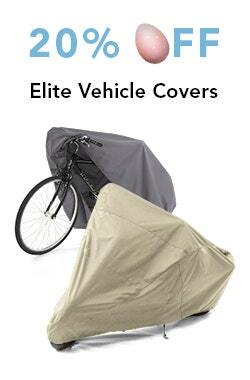 No problem for these covers! The other home is up north. All told, we cover 2 love seats, 4 chairs, an ottoman and 2 tables. On a day to day basis I don't even use the tie downs, but they sure come in handy if the weather is particularly bad. 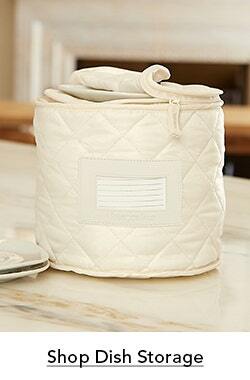 All of our cushions are designed for outdoors but are not water resistant. The covers keep them dry and fresh. As an aside, we love our neighbors' cats but they don't like the covers - bonus! Both orders were shipped complete and on time! Strongly recommend! I love the cover but I'm disappointed that part of the cover is staining. I guess it's from the leaves. 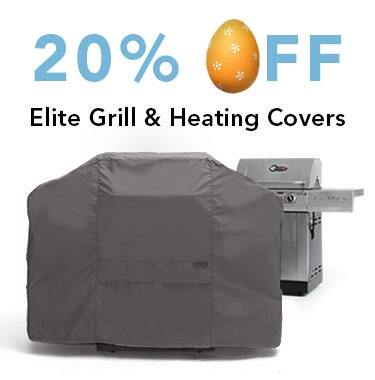 The other chair and bbq covers don't seem the have thi problem. Came on time. Fit perfect. I am very pleased with this product. It is like described and fits perfectly. It was shipped in a very timely fashion and I was able to use it before the snow fell again! Ordering and shipping were fine. The patio furniture covers looks good and went on easily. But since I have only had them for one week, I can't comment on long term performance.